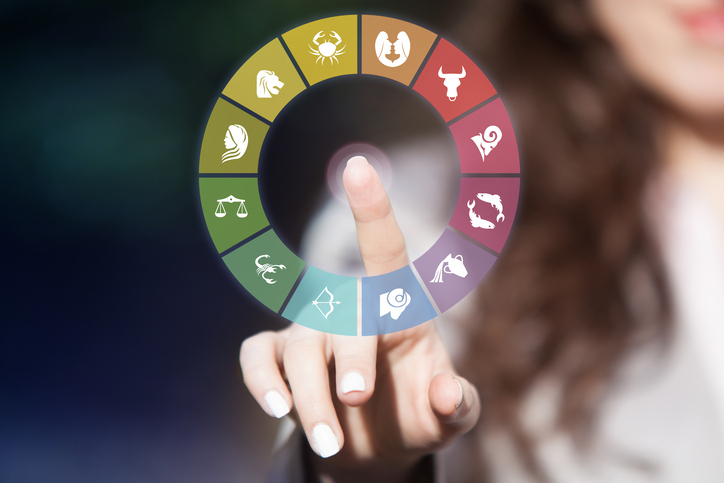 You want to know everything there is about your baby's due date.Though due dates rarely become your baby's birthday, you can generally predict the astrological sign your bundle of joy will have. While hardly a science, astrology for kids is a fun way to prepare for the day your little one arrives. Dec. 22-Jan. 19: Capricorn. Capricorn kids are shy and stubborn, just like their symbol, the goat. At the same time, they're wise beyond their years. Jan. 20-Feb. 18: Aquarius. While they're known for their roller-coaster emotions, Aquarius children also naturally empathetic. Feb. 19-March 20: Pisces. Your late-winter baby will be a day-dreamer, leading to some very imaginative ideas. March 21-April 19: Aries. These little rams are generous and natural leaders. April 20-May 20: Taurus. Like the bull, baby Tauri are stubborn yet crave love and affection. May 21-June 20: Gemini. The twins are known for being very energetic and talkative. June 21-July 22: Cancer. These summer babies love being in the water, just like their symbol the crab, and are naturally caring. July 23-Aug. 22: Leo. Your little lion will be smiling more often than not. Aug. 23- Sept. 22: Virgo. Virgos tend to be bossy - but they're also smart and clever! Sept. 23-Oct. 22: Libra. With scales as Libra's symbol, they tend to be indecisive, always weighing the possibilities. Oct. 23-Nov. 21: Scorpio. Like the scorpion, these late-autumn babies are typically introverted and protective, yet strong-willed and very bright. Nov. 22-Dec. 21: Sagittarius. They love making people laugh, but will also need their space. Not a fan of the rules, these creative babies have a wild side that will keep you on your toes.